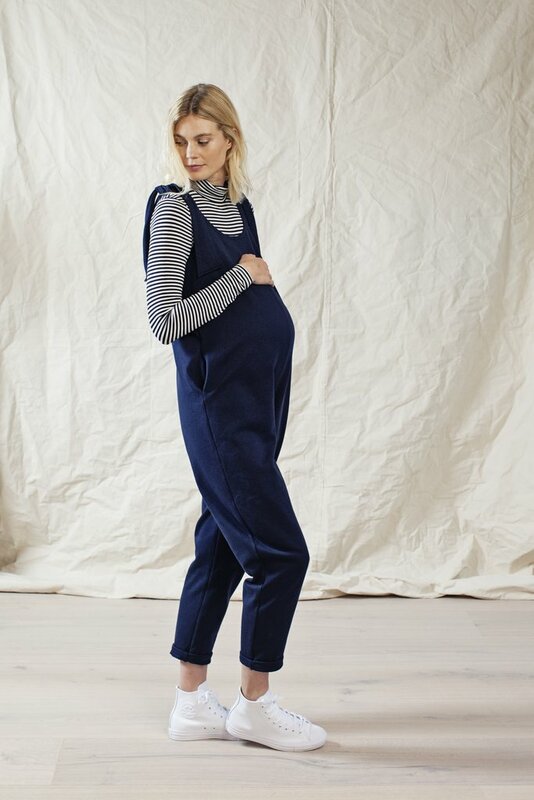 I actually don't like spending money on maternity clothes, I personally think we can kind of make do with what we have or buy regular clothes on the high street. I remember the first time I was pregnant I made it through the 9 months by wearing what I had (apart from a couple of maternity items I had bought), but mind you I was in leggings most of the time. Being pregnant mainly in autumn/winter meant I had to invest in a pair of jeans. The second time around, I gave into buying jeans a lot earlier, Spring/Summer was taking a very long time to arrive plus my jeans were too tight. But now we're into summer days, I enjoy wearing dresses and enjoy trying out new styles. I have so far only spent money on non-maternity clothes, all which are my usual size so I can wear after (click here for the previous post on this). It's not easiest at times styling the bump, but Pinterest has helped. I realised bodycon dresses are perfect for embracing your pregnancy bump, also long t-shirts and dresses with elasticated waists or wrap fronts. If you don't like showing too much, I like having a blazer or jacket over or around the bottom of my bump. If you are struggling with your own clothes and feel maternity clothes are the only way, I have picked a few of my favourites below. The only two maternity jeans I have are from Topshop and ASOS, both fall down a lot, but after mentioning this on my Instagram stories, so many messaged back saying H&M do the best maternity jeans. I haven't invested in one yet as I'm trying to make do without jeans this summer. I am due in September and am hoping to make do with what I have, even if it means wearing those annoying jeans that fall down a lot! I also have to mention this brand called Beyond nine, came across the brand on Instagram, they do great pieces that can be worn after too. My favourite two are below (left, right). Hope this helped a few ladies out, it's not always easy styling the bump but can be done without spending too much.